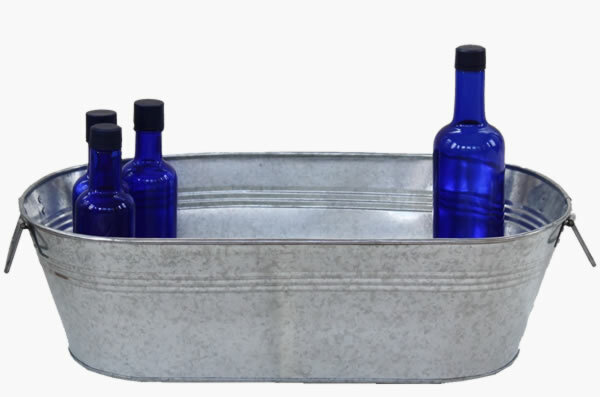 This metal tub features a speckled vintage finish, making it perfect for holding ice and drinks at your next outdoor event. Additionally, it can be repurposed as an attractive storage space for children's toys, apples and bananas, and anything else you can think of. We also offer a round tub in a similar size to best suit your needs.